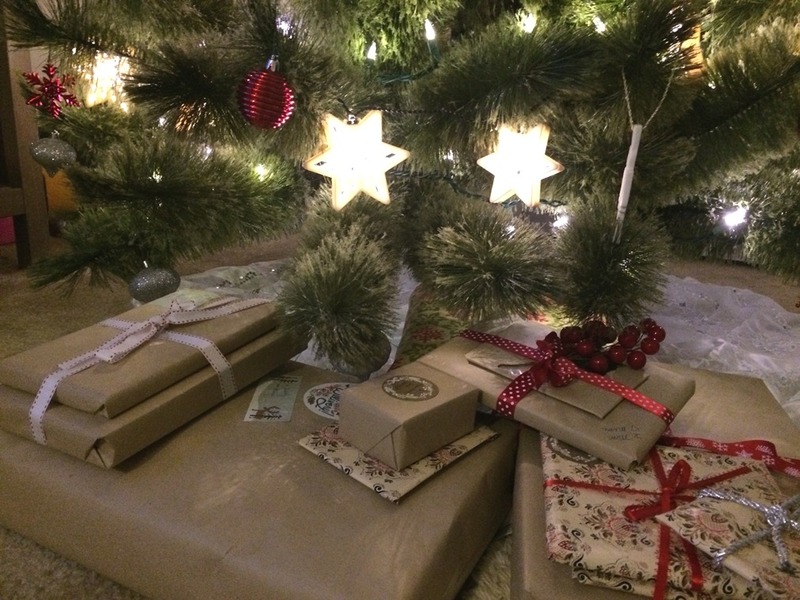 Wrapping and ribbons and bows, oh my! 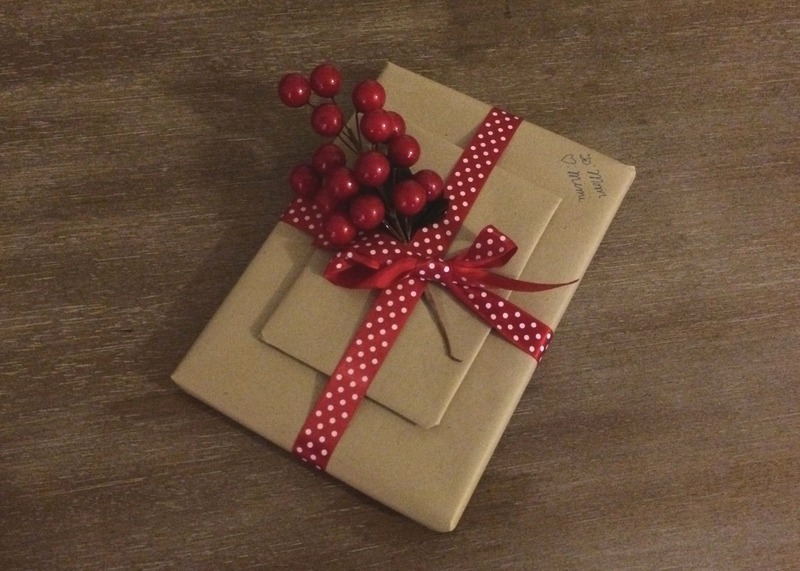 Confession: I LOVE wrapping gifts. 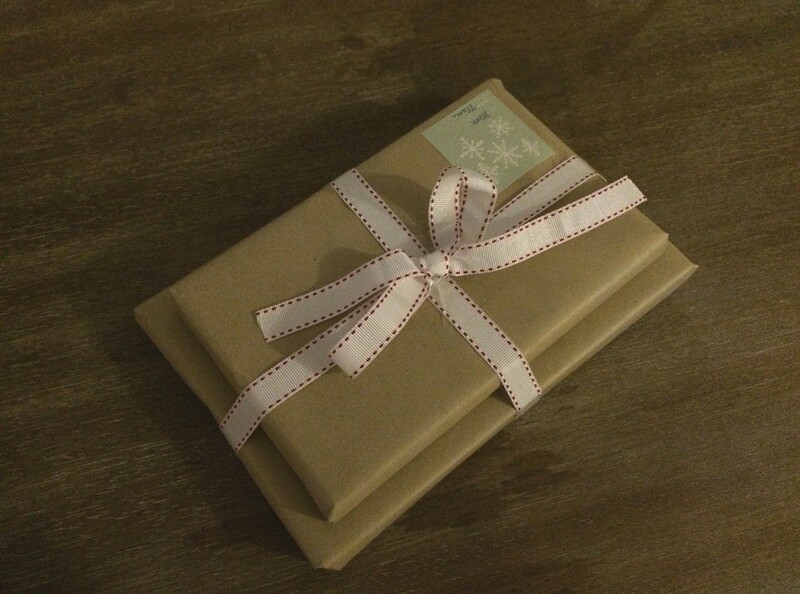 Even though it will be ripped to shreds in a few seconds, I like spending time to make each package look pretty. 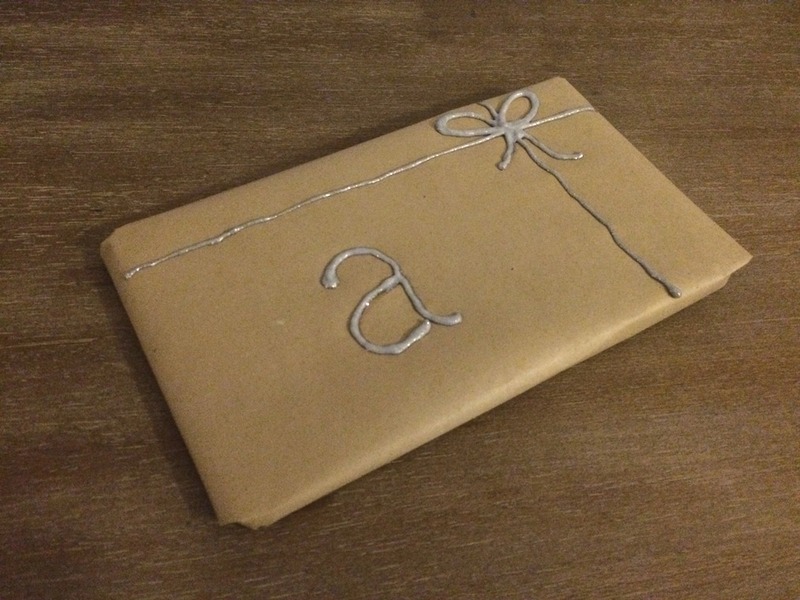 This year I’m going the more traditional route with Kraft paper, but there is still a lot you can do to make each gift unique. I had some fake berries left over from my Halloween costume that I added to a few packages. Pine cones or an evergreen bough tied with ribbon would also look nice. Need I say more? Doesn’t puffy paint make any craft project better? Just be careful to apply lightly so it doesn’t soak through the paper. You could also use a metallic marker. I own an unreasonable amount of stickers for a 26-year-old, but I just can’t help it. I bought these adorable ones from Rifle Paper Co. last year, and I still love them. You can always keep it simple by adding a nice ribbon. Sometimes simple is best. Christmas is in 9 days! Say what?! I hope everyone is feeling the holiday spirit, spending time with family and friends and eating lots of treats. 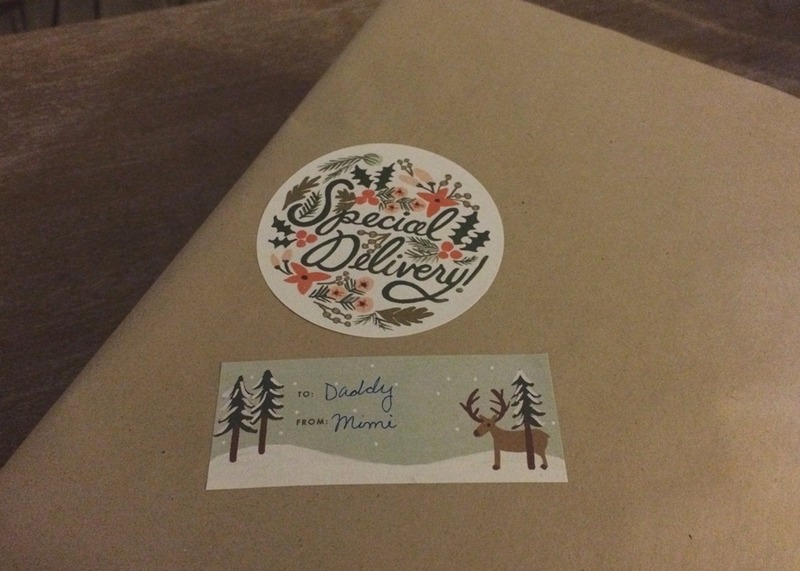 I finally got around to sending Christmas cards and wrapping gifts. Definitely feeling the good vibes of the season. 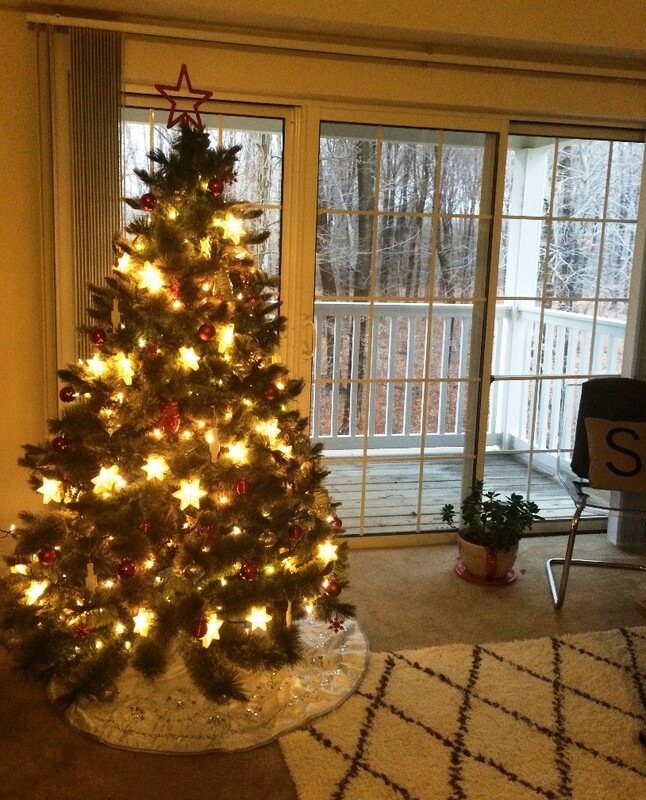 It’s beginning to look a lot like Christmas, and that puts a smile on this girl’s face. As a little kid, I remember most years having an advent calendar in the house. Usually it was a large rectangular card with little windows, and each day in December we would open one to reveal the surprise behind it. It was always fun counting down the days to Christmas. It’s such a simple way to get into the spirit of the season, and this year I have a new advent calendar. 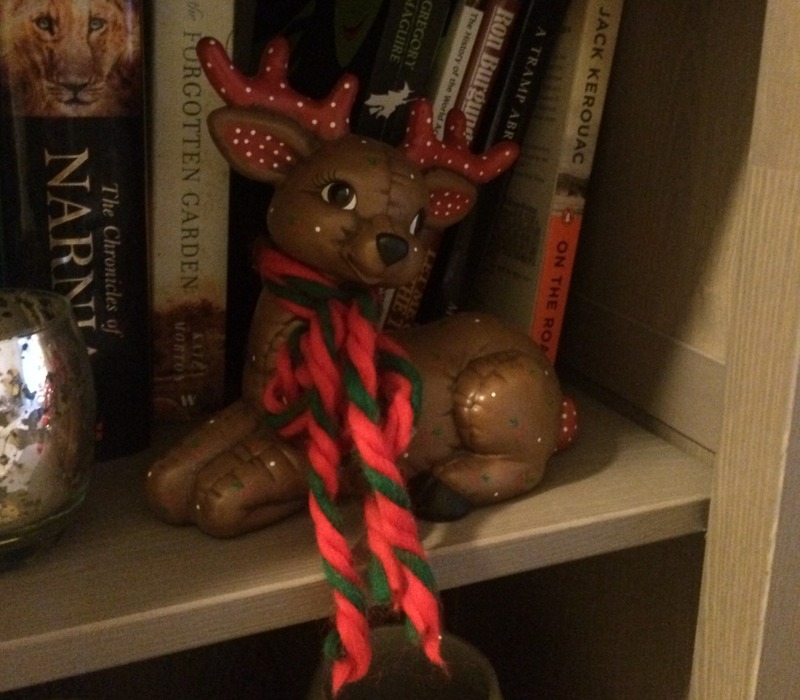 Knowing that Christmas is my favorite holiday, Sebastian thought it would be nice for me to have one of my own. Each day is marked by a little cloth pouch filled with a treat that hangs from a string of red ribbon. I’m already in love with it. Happy December 1! Let the countdown to Christmas begin! I know, I know, Halloween was only last week, Thanksgiving hasn’t even happened, and the department stores are already putting up their holiday displays. I’m going to let you in on a little secret though… I love it. I was out this past weekend and was so happy to see all the trees, decorations and presents. I even enjoyed the Christmas music playing over the speakers. I just can’t help it. 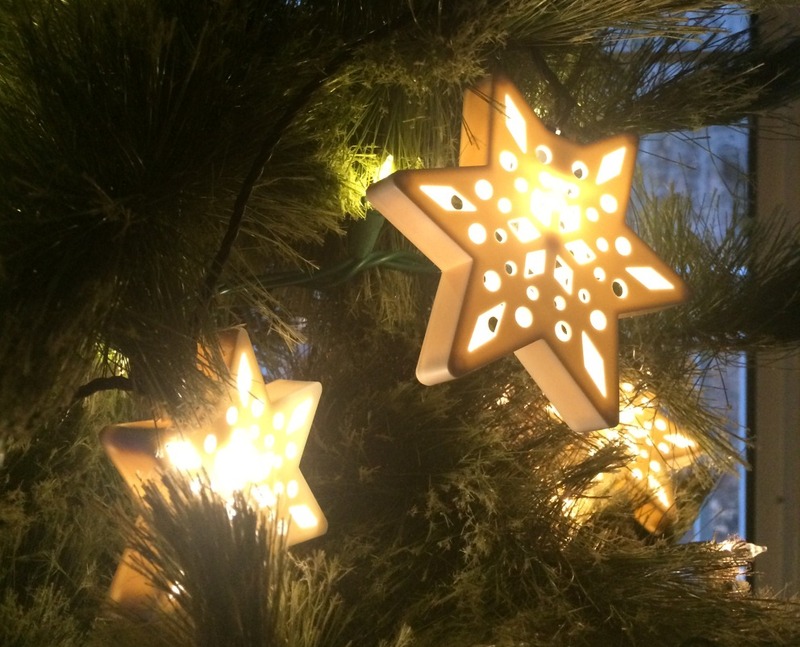 Ask my family – I have always loved Christmas. There is just something about the season that makes me so incredibly happy. I think it has a lot to do with all the wonderful memories I have from when I was a kid. So just the sight of green and red has already begun lifting my spirits. So much so, I was half tempted to decorate the entire house already. Both of my siblings will be here for Thanksgiving, but Grace won’t be home for Christmas. Part of me thinks it would be fun to have all the decorations up when all of us will be here. Looking at all I need to get done though, I doubt I’ll get everything up in time. 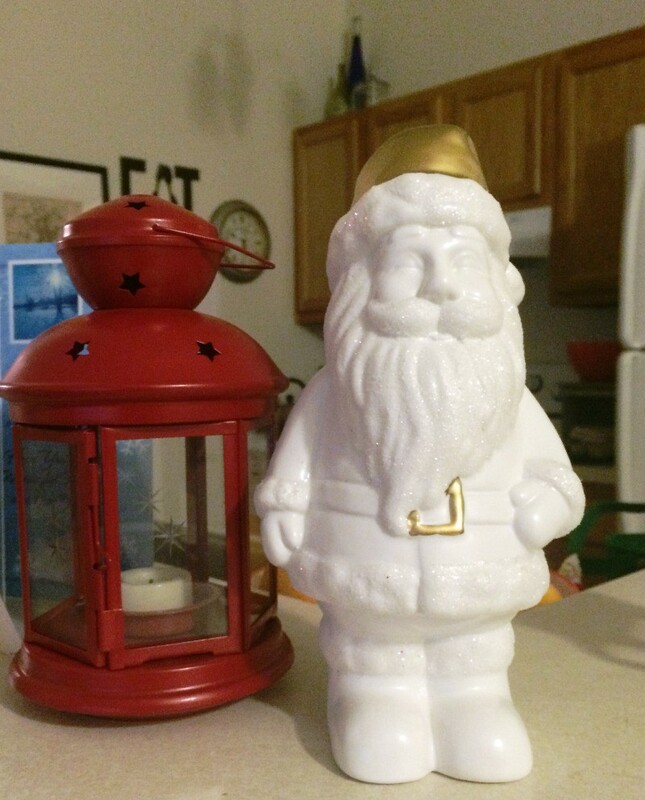 But I couldn’t help myself and had to start some holiday decorating this week. 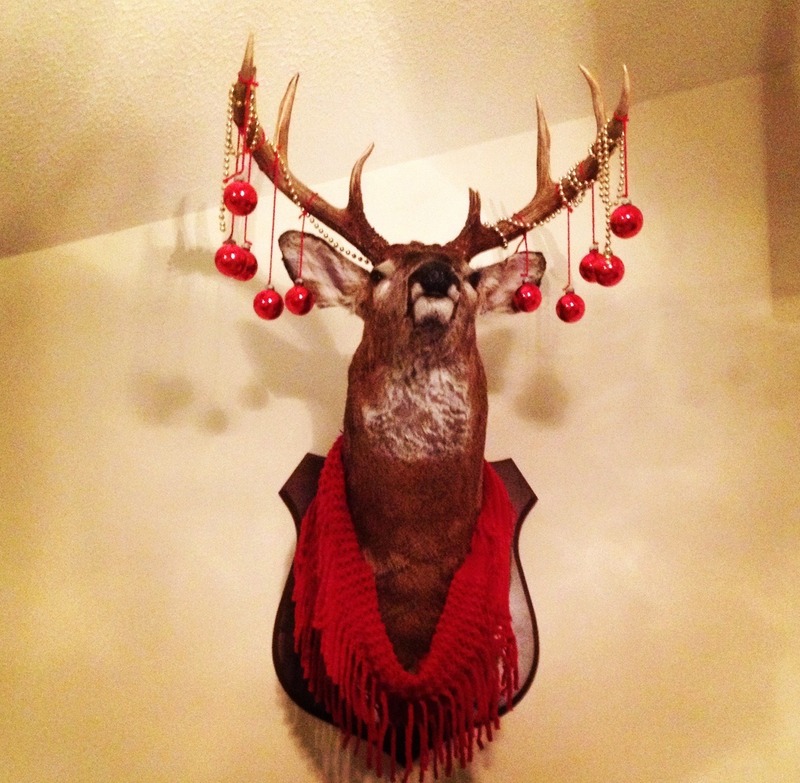 While my dad is visiting my sister in Oregon, I thought it might be fun to give his new deer mount a little holiday makeover. ‘Tis the season, right? Cheers to the holiday spirit! I’m sitting in the living room with my family, waiting to head to mass. Christmas is here, and it truly is the most wonderful time of the year. So from my family to yours, we wish you a Merry Christmas and a blessed New Year. This time of year always makes me feel nostalgic. I think back to Christmas mornings as a little girl, when I’d wake up and know that there were presents waiting for me under the tree. I’d creep down the stairs and peek into the living room to see all the beautifully wrapped packages. Those mornings always felt so magical. 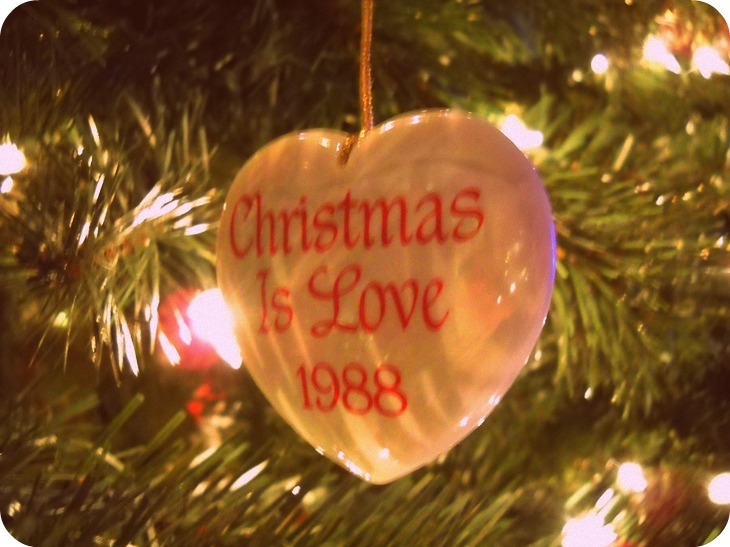 Even though I’m older, I still cherish the Christmas traditions that I loved as a little girl. Every Christmas Eve my family attends Midnight Mass, my favorite mass of the year. The church always looks so lovely, and after we leave it feels like Christmas has officially arrived. When we get home, my siblings and I get to open our first present, and it’s always new pajamas. I love falling asleep in new pj’s, knowing I’ll wake up to Christmas. And finally my favorite tradition, but certainly not the last, is our ornaments. 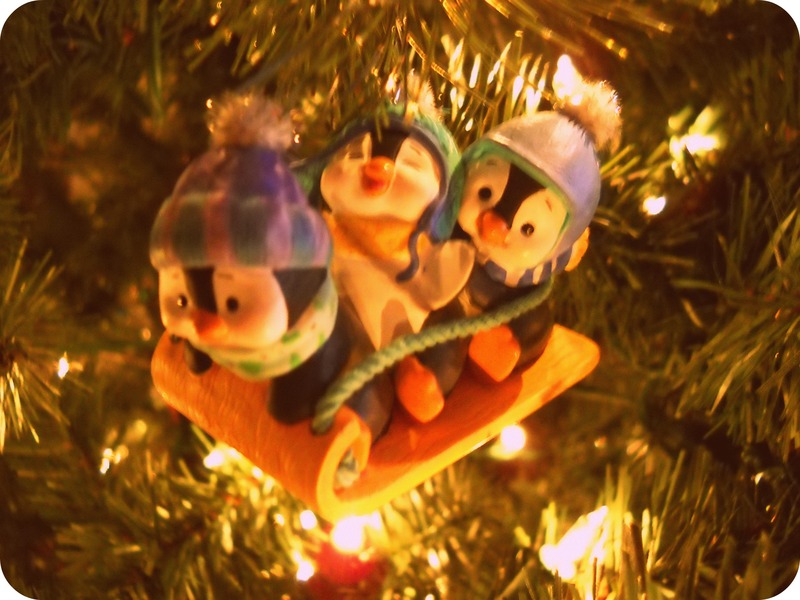 Every year my Mom buys each of us a new ornament. 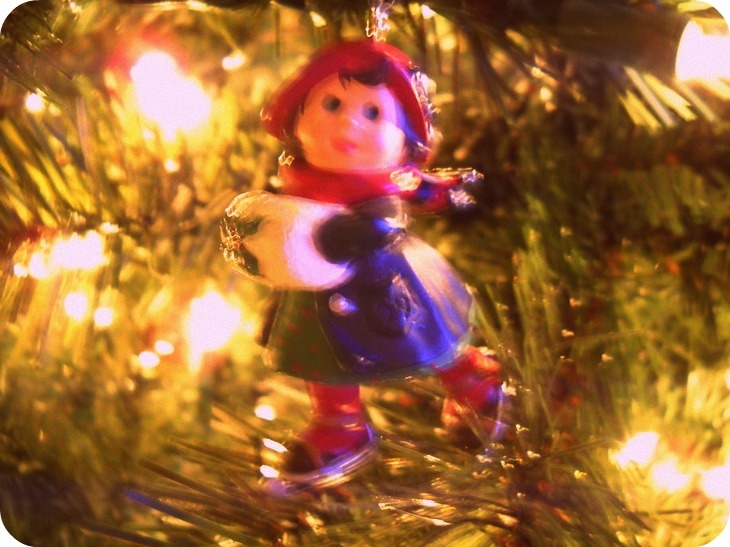 She says when we leave home some day, we’ll have ornaments to put on our trees. 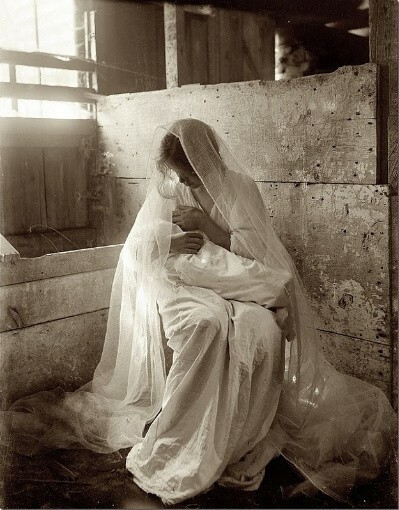 I think this is such a cute tradition, and I hope to continue it when I have children of my own. 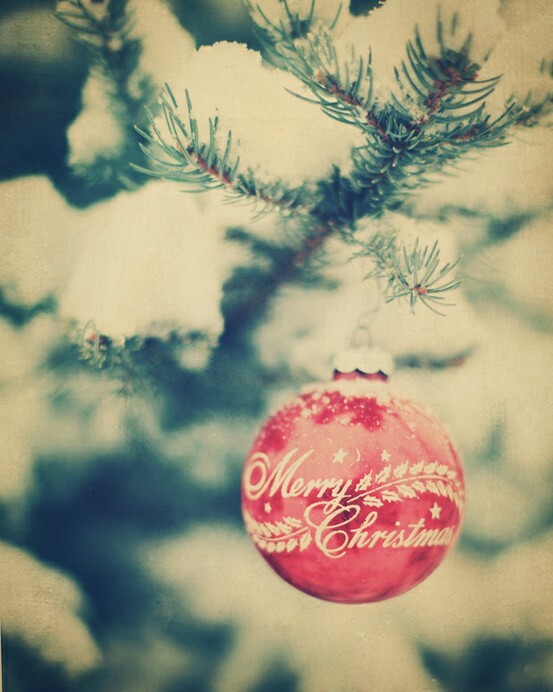 Can you believe it’s only 20 days until Christmas?! I can’t, but I’m so excited. This is definitely one of my favorite times of the year. I love the music, I love the atmosphere and I even love the snow. And since it’s December, I decided that is was time to get into the holiday spirit. I spent the past weekend Christmas shopping and pulling out the decorations. 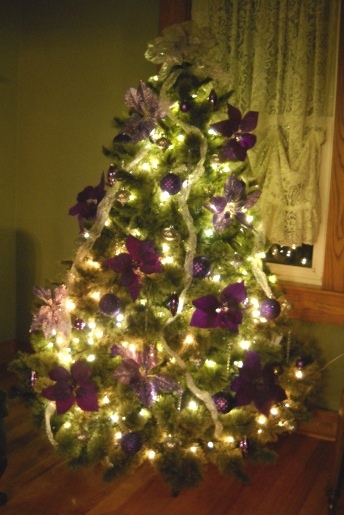 For the second year in a row, I took the liberty of decorating the artificial tree in our piano room. The theme is purple because it’s one of my favorite colors. I think it turned out pretty snazzy if I do say so myself. We still have all the other decorations and the real tree to put up, so this should be a very fun week. And in other BIG news: I’ll be spending New Year ’s Eve in Germany! I fly out December 25 and stay until January 2 (more details to come). I am, as usual when it comes to seeing Sebastian, beyond excited. It’s hard to wipe the smile off my face. Happy Holidays!